Home Doctors Are You Ready For a READYDESK?? So much of Chiropractic and health is about posture!! So much of great posture is properly sitting or standing. However, when you spend a great deal of your time working, whether it be from home or an office, sitting for hours – no matter how great your posture – really takes a toll on your circulation and your body. Circle of Docs has been trying to find ways to help you model the lifestyle of our beliefs. We recently reached out to Readydesk to see if they had an alternative to the monotony of sitting for hours on end. A little about ReadyDesk: Readydesk was invented by Joe Nafziger and Ben Larson, best friends since age four. The duo grew up on neighboring farms in the Midwest, and have lived on the West Coast for the past decade. In 2010, Joe built a crude standing desk after reading several articles on the dangers of sitting too much. Ben saw potential in creating a version of the desk that could fold up, be portable, and most importantly, adjust to your height. 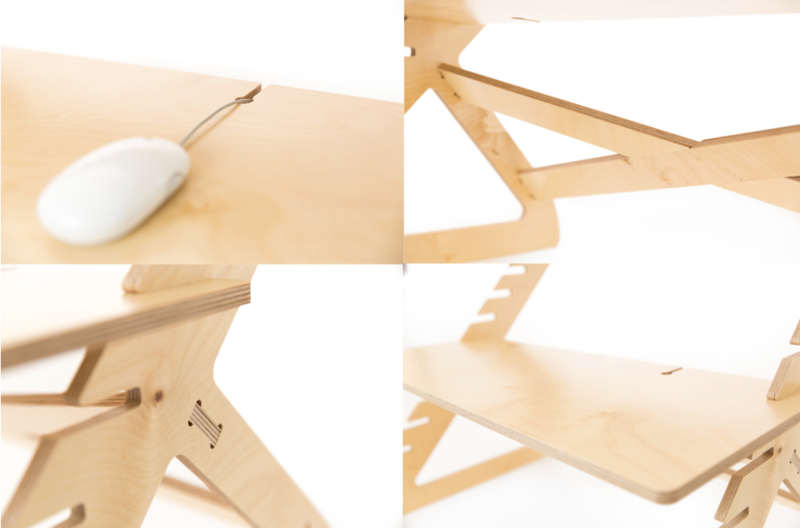 After years of building, testing and researching, Readydesk is here. Lightweight. Strong. Beautifully designed. Most standing desks force you to stand in a posture that hurts your neck or your arms. Readydesk lets you avoid this with up to three adjustable platforms that adjust to your height. 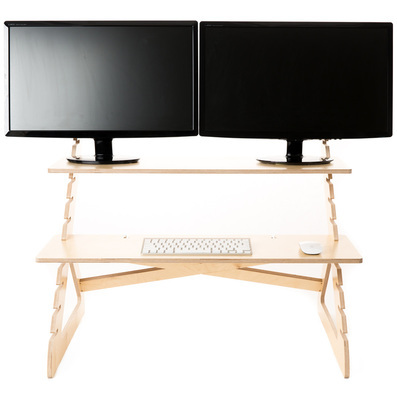 This allows you to ​turn any workspace ​into an ergonomic standing desk and burn more calories at your computer. Readydesk ​supports all-in-one computers, laptops or two 24” monitors. 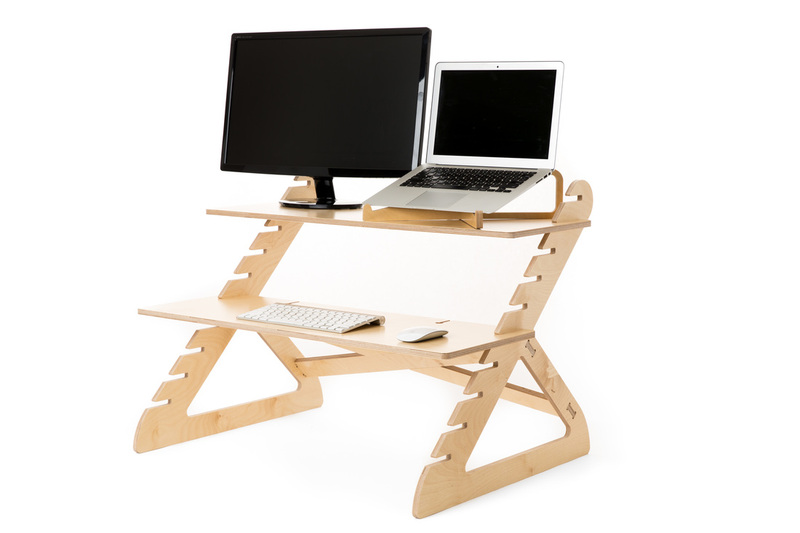 Made in San Diego, CA, of finished Birch, Readydesk supports up to 75 lbs of gear!! Check out the modern design! Change up your posture, change up your positioning and you change up your health!!! Here’s my review: I am a military spouse of 16 years and a mom of 3…these feet and spine have seen a lot of miles!! Oh, and I just happen to have 11 vertebrae fused, due to drawing the short stick on scoliosis exam day in grade school! Is that even a thing they do at school anymore?? I have…for years…tried to find a way to have perfect posture at the computer. We recently moved (retired from the Air Force) and Readydesk was my first piece of mail!! Before my household goods even arrived, I had my Readydesk open and assembled! After my regular sitting desk arrived with our household goods, I immediately set my Readydesk on it and went to work. Adjusting the shelves for different heights was something I needed to do right away. The careful craftsmanship of this desk made it so easy to adjust the height perfectly in just seconds. Just pull out the shelf, place at desired height and VOILA perfect posture comfort! 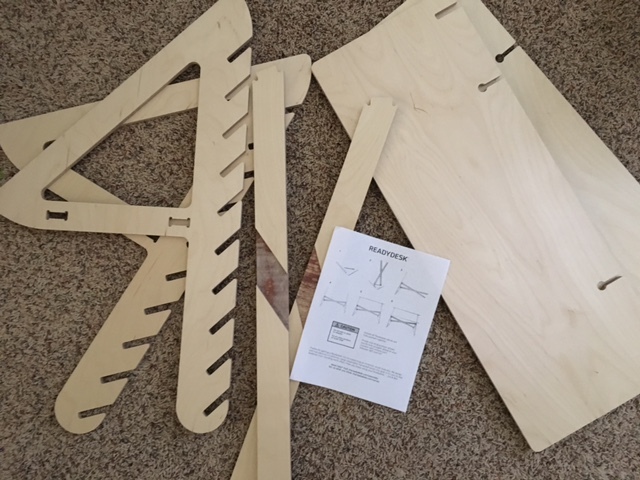 Please excuse the mess – as I told you – the excitement for my Readydesk far outweighed my ability to get my household goods put away before pictures – plus I had work to do!! Readydesk has completely changed my posture while working!! With less strain on my neck and back, I have never worked healthier and had less pain. Are you ready to optimize and amp up your healthy work environment?? Then you are READY….for a READYDESK?? 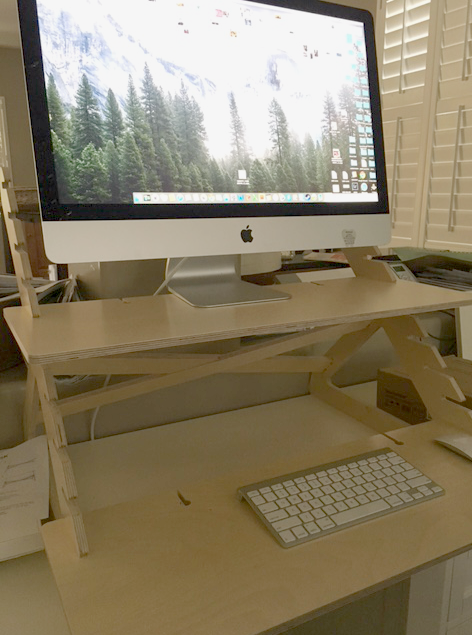 Overall, we LOVE this stand desk solution. We think that you will love to be able to put it together quickly, efficiently and provide you with a stand desk solution that you can put directly on top of your current workstation. It is priced right and the beauty of this desk will not disappoint. Previous articleHow Much Money Do Pediatricians Really Make From Vaccines?